AutoCAD Civil is software that aids in drawing, sketching and development of blueprints of civil structures like buildings, bridges, etc. Proficiency in this software has lately become an essential requirement in various infrastructure industries. AutoCAD Civil, focused on civil engineering professionals and students, consists of industry based tools and exercises that help creating Building Information Modelling workflows. It is used for developing structural designs via high quality plans. It not only helps understanding performance of a project but is also an efficient application for retention of regular data. Our course provides wholesome knowledge, skills and proficiency in AutoCAD Civil in an easy-to-learn manner. Our structured course helps development of expertise and skills while generating quality designs as a result of superior knowledge and best performance. AutoCAD Civil software helps development and design of blueprints and skeletal structures of civil engineering drawings. It helps collate information for making progress reports of a project and also helps manage human resources in workplace. 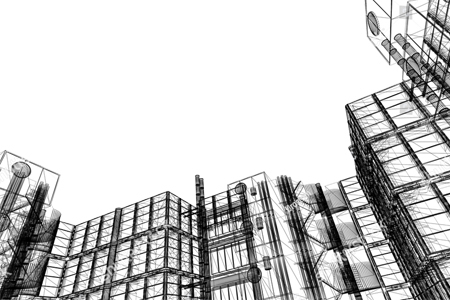 Qualified AutoCAD Civil students can go a long way in their careers. These professionals can find work as Civil Engineer, Field Engineer, Construction Manager, Site Inspector and even Supervisor with the right training and aptitude. The professionals, should they chose so, can also be a freelance consultant or an external consultant at various civil and infrastructure firms. This course can be taken by any students or professionals who wish to learn AutoCAD Civil from its basics to an advanced level. A civil engineering student is would have a benefit of deeper understanding of details while instruction. However, since the course is designed for an easy learning, any student can be educated from our competent teachers.